In a large bowl, whisk together eggs, milk, and garlic powder and season with salt and pepper. In a nonstick skillet over medium heat, melt butter. Add eggs and scramble, 3 minutes, then stir in chives. On a cutting board, lay out three strips of bacon. 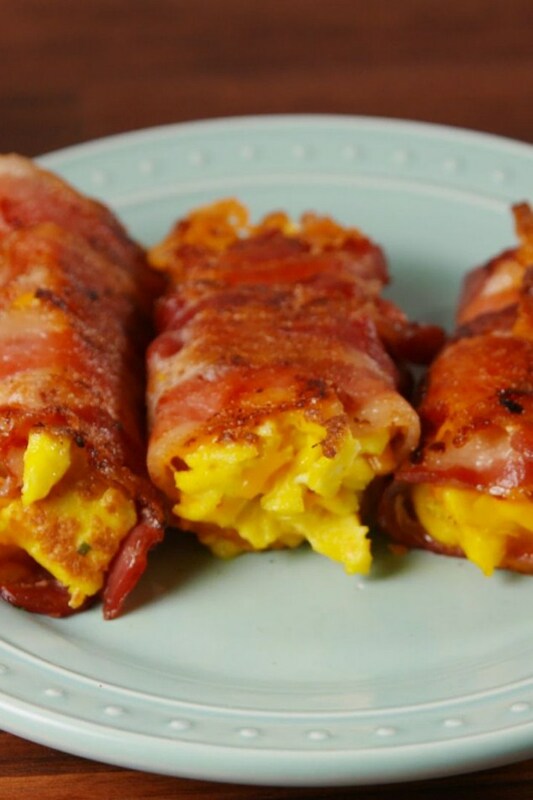 Sprinkle the bottom third with cheddar and top with a large spoonful of scrambled eggs. Roll up tightly. Repeat with remaining cheese and eggs. Return skillet to heat and add bacon roll-ups seam-side down. Cook until crispy on all sides, then transfer to a paper towel-lined plate to drain fat. Serve.